I’ve been practising agile methodologies for some time now. The most common ceremony that I’ve seen agile teams do is stand-up also known as daily scrum meeting. I’ll not go into what stand up or daily scrum is and what value does it bring. I appreciate the value it brings and would encourage teams to follow this ceremony religiously. Every team that I’ve seen having this meeting does it in a similar fashion. They stand around in a circle and everyone gives their updates. This method sounds good but when practised, has a lot of problems. I’ve listed some of the problems that I’ve seen. Stand-up is a meeting. Everyone joins in-person or on-call regardless of convenience. Someone might prefer a meeting later but everyone else might want it at 9 am. Pushing that meeting to later time can be a challenge. Why? Read the next problem. Stand-ups tend to become the start of a day. Every team that I’ve worked with had this problem. Most of the team members came to the office just before the meeting or mid-way. Even if they came early, they don’t start work as they know there is a meeting in another 15mins or so. People might forget important updates as they showed up at last minute or late and aren’t prepared. Anyone who doesn’t show up will miss everyone’s updates. And everyone misses their updates. Stand-ups take a lot of time. They are intended to be short but generally go beyond the time limit. I’ve seen small teams dwelling on updates and large teams having too many people with vague updates. Not everyone is interested in everyone’s update. This is especially true for larger teams. People start solving problems or spark discussions in stand up meetings. Someone might know a solution to a blocker and they feel compelled to explain it. Someone might use it to discuss new ideas. An issue can cause people to replan things in the middle of the meeting. One can argue that all these can be solved by one or the other way. But all those methods are difficult to implement and requires everyone to be on their toes. One other way to fix all these problems is to use an instant messaging application like Slack. Create a group or channel where everyone will post their updates as bullet points or checklist. Some benefits that I see. The biggest, one less meeting to attend. The flexibility of when to share/read updates. One might want to share update at the end of the day, easier to remember what you did. Or while taking a morning dump. No start of day ritual. Those extra minutes of everyone add up to a lot. People don’t forget updates when writing down, they get time to think. No one would miss anyone’s update. Members who were on leave can also read older updates and get on speed. One can skim through irrelevant updates. No one’s time is wasted with long meetings and untimely discussion. 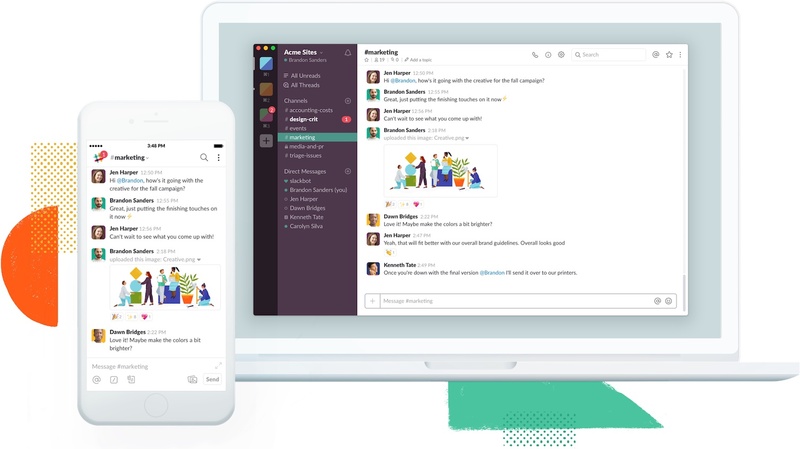 Members can use Slack for discussion over updates. Also, sometimes those updates and discussions are important and now you have a place to look back. There are Slack bots as well to streamline this process. You can explore them as well. Or you can post updates as messages. This is how a thread in Slack looks like. People can reply and discussions can happen. Creating threads for discussions clears the clutter and make reading the updates a breeze. I haven’t tried using Slack for stand up. But I’ve fantasized whenever a discussion kicks-off during stand up meetings. Do you face similar challenges during your stand up meetings? Would love to hear what’s working for you.